Hearty Minestrone Soup made with squash, tomatoes, pasta, garlic and Ditalini pasta is so filling, you can eat it for dinner. January is National Soup Month and it couldn’t have come at a better time. Here in NJ, as is in most of the country, we’ve been experiencing extremely frigid temperatures. So what would be better than a nice, hot bowl of soup to warm your soul. This week, I’ll be sharing a new soup recipe each day. And to start, here is one of my all time favorites, Minestrone. Minestrone is a thick, Italian soup made up of vegetables, rice or pasta, beans and stock. In my version, I opted for Organic vegetable stock, but you can substitute chicken stock if you prefer. 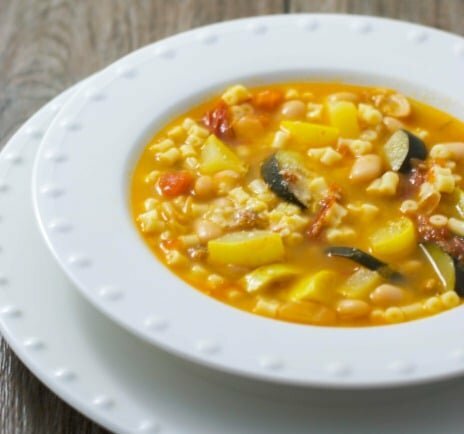 When made this way, this soup is low in saturated fat and high in fiber, iron and vitamins B6 and C. Minestrone is a deliciously filling, heart healthy soup that can be served as a complete meal as is or pair it with a tossed salad or crusty Italian bread. ~Enjoy! In a large pot, heat oil over medium heat and add zucchini, yellow squash, garlic, rosemary and tomatoes. Saute 2-3 minutes until the squash starts to soften; then add the vegetable broth, water and beans. Simmer on low for 30 minutes. Add the pasta and increase heat to medium-high and cook for an additional 10-15 minutes. Stir in the cheese when the pasta has softened. You’re very welcome~Good Luck to you! 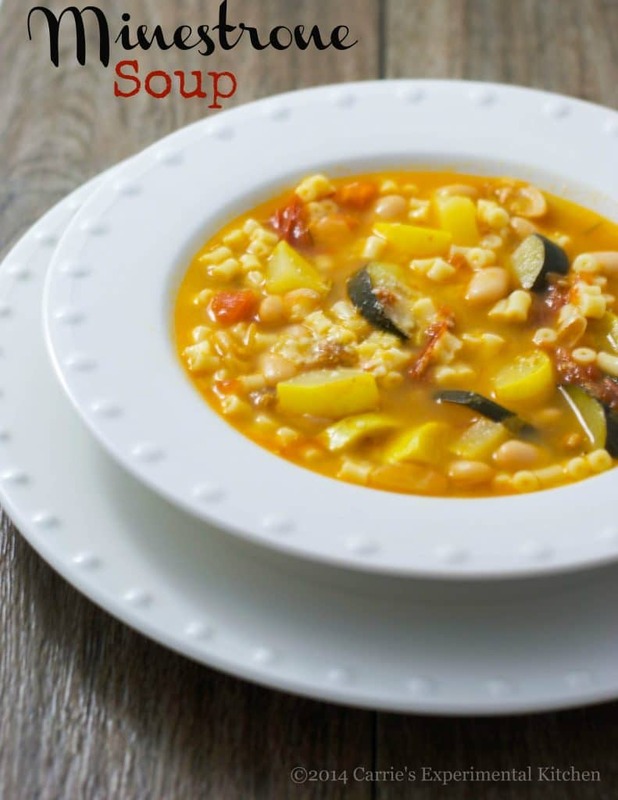 Great soup recipes perfect for the really cold WI nights and awesome giveaway thank you. Sure hope to win such a nice prize. Thx for the opportunity!